WITH ONE ZBOX CHANNEL LEFT TO FEED YOUR POWERED SUB. USE 2 FOR THE FRONTS , 2 FOR THE REARS , AND 2 FOR THE CENTER. The above combo is so good you can use it for both 2 channel and multi-channel listening allowing yourself to enjoy the best of both worlds without having to have two systems. The ZBOX tube output stages transforms the ugly sound of your stock DVD player into a respectable audiophile source. The low power SET amps are accepted as great for 2 channel audio, but wait until you hear how much more dynamic and realistic a movie sounds through them! 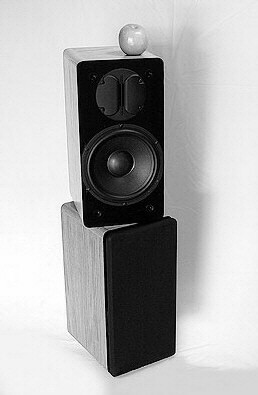 The speakers at 94dB 1w/1m have great weight and dynamics to let movies play loud yet are refined enough to impresses the most picky audiophile on two channel playback. Also we recommend building such a system a piece or two at a time. Many will get one amp and two speakers to start things off. Then a Zbox shortly follows resulting in wonderful 2 channel playback. 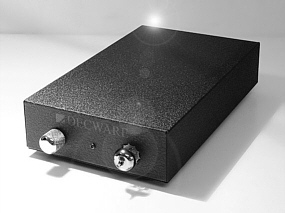 During this time you can use the rear and center channels from your HT reciever. Another amp / Zbox for the center channel is usually next followed by the last amp and rear channel speakers..